I’m a book addict love this post. Happy to hear this, Nikky! Do you read books when you travel? I read often whilst travelling on my way to destinations. As well as on my way to and back from work. Thank you for your post. I’d love to go to one one dT, but they all seem to be in term. Time whe. I’m teaching and can’t take a day off! I hope you get to attend one day. Are you talking about the JLF London edition, Ritu? Yes… And anything literary to be honest! Beautifully covered and present Arv. What a way to have a virtual tour of the Lit Fest. Keep it coming buddy. Its amazing. Since last two years, I am trying to attend, but any how it couldnt been possible. But i will make sure for next year !!! Thanx for the beautiful pictures….. Some truly brilliant street photography Arv! Since you are a book lover, have you ever attended JLF? or any other lit fest, Raghav? Not really. I think about attending JLF every year, but the crowds scare me. Next year for sure… is what I tell myself every time. Haha! I also get overwhelmed with the crowd and that’s one reason why I have limited the number of times I visit, JLF. I have started watching it live streaming. Still, I do think it makes for a great experience, at least once. How was your Pushkar trip? Good, nice friendly bunch from local walking and photo clubs. A little hectic for a weekend, would have liked one extra day. Looking forward to your post on the same or pictures at least! Nice photographs. You should have captured a few food stalls also. Food is good. Belgian truffle, and chicken tikka roll my favourite. This time could not visit. Next year hopefully! I love the way you presented the JLF with vim and vigour, how you mingled with the crowds to capture the spirit of this gigantic literature fest. In spite of the emphasis on a secondary aspect, the life style, you made it clear that the main purpose of the festival is to promote reading. Well done, Arv! Thanks. Yes, it is a challenge to click pictures in the crowd. I have already written enough about this fest in my previous blogs, so I decided to present a different aspect of this lit fest. Do you love reading books? I do a fair amount of reading on my Kindle reader. It is ideal to carry lots of books around on this little device. So beautifully captured, Arv! I felt like I got to visit this festival thru your photography. What a fabulous festival! I do love reading. cookery books are always fascinating but am also part of a book club where we mostly read fiction and discuss the books. wow. That’s a good thing to hear. Keep up the good work, Sandhya! What a pictorial treat arv, you have made each moment special with your commentary and pics. Thank you for giving a feel of the festival from miles. I’m glad you enjoyed these pictures. It is not merely a lit fest and this is what I wanted to share with these pictures. I guess you are an avid reader too. Are you? Interesting clicks! Did you attend any session? Or met any author? The ones that I wanted to attend, I couldn’t. Work kept me occupied. I did watch them online. No, I didn’t meet any author. I wanted to catch up with a few friends and bloggers who were in town for the event. Amazingly captured. Who all were the speakers ? Thanks. You can find the complete list JLF website. This year the most prominent ones were Shashi Tharoor, Javed Akhtar and Shabana Aazmi, and Jeffrey Archer. I didn’t know about the JLF much. Looks like it was organized at a great level. I too will watch videos of it. Thanks, Shruti. JLF is incredibly popular. Yes, it is planned and executed very well. You must read my previous posts on JLF, too. I’m sure you will find these videos interesting. Loved the pictures and the witty taglines. Even though it might have diversified from its original purpose, surely it would be worth a visit! Neel, I wouldn’t say it has diversified from its intended purpose rather it’s an add on or may be inseparable part of this festival. Some of the sessions featuring Shashi Tharoor, Jefferey Archer, Prasoon Joshi, Devdutt Patnaik, etc are completely packed. Despite fashion and food grabbing some attention, discussions and debates take the center-stage. Are you a book-lover? Shifting genre? wow. That means you can converse on many topics! Well, I also tend to forget the names of movies but with the books. Loved these photographs from the LitFest! I’m so glad they’ve posted the sessions on YouTube – much as I would love to attend LitFest, the thought of jostling with all that crowd gives me the jitters! It has certainly become a huge event. And it seems really strange that it has the spin-offs such as JLF in London – I really wonder in what way it can be Jaipur LF if it is in London. I also feel that if the event has to become popular, it should not have any connection with Jaipur in its name. I guess the organizers want to use the branding of JLF, which is famous across the world. I’m sure JLF London can never be a huge event because it doesn’t have its own identity. I guess that is what you also feel. A good account of JLF from a different perspective with brilliant images. I guess you are a book lover too! Arv, you definitely have captured so very well the atmosphere of this literacy event in Jaipur, it really seems to be very popular according to your wonderful images. Way back, when I lived in Germany I had a career as a professional bookseller, which inquires an apprenticeship of 3 years. So therefore it makes me so happy when I see people reading and enjoying books. wow! Cornelia! It must have been an awesome experience. I never knew your connection with books. Although, reading is on wane because of the amount of time people spend on digital medium, there still are many readers around. The one who reads are ardent readers. Many publication businesses have closed because of the adverse situation of publication industry. Well, times are changing. Are you a full time photographers, Cornelia? 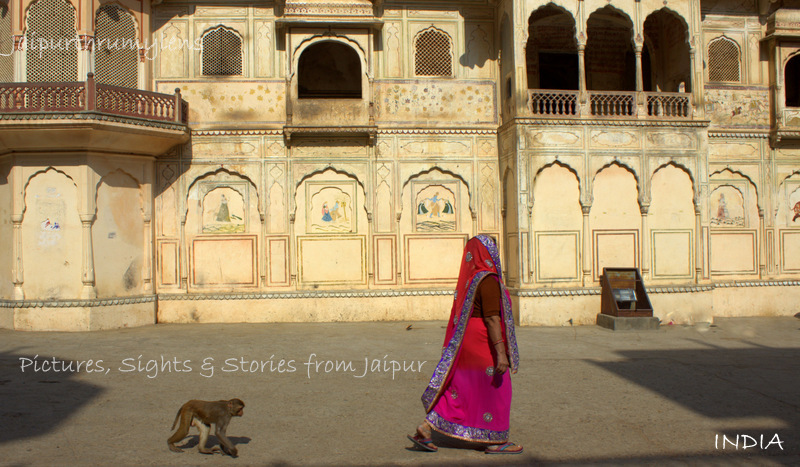 Beautiful pics from Jaipur Lit Fest.